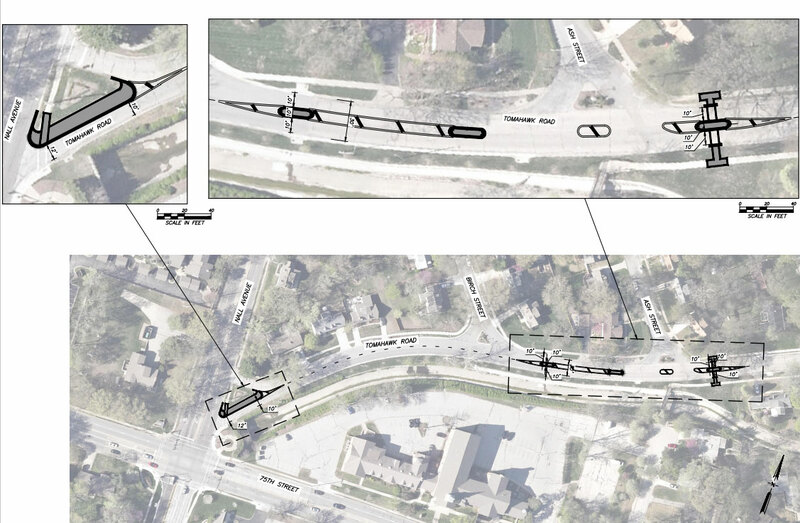 After years of discussions, traffic calming measures are coming to Tomahawk Road between Nall and Roe. After school most days, Matt Vaughan’s sons, ages 11 and 15, like to play outside, tossing a baseball around in their yard near Ash Street and Tomahawk Road in Prairie Village. But when rush hour begins, Vaughan tells the boys they need to come indoors. Indeed, the turn off from crowded Nall Avenue east onto Tomahawk can be a tempting outlet for motorists eager to avoid congestion. But such drivers have a tendency to maintain their Nall Avenue speeds even after they’ve entered the highly residential neighborhood. 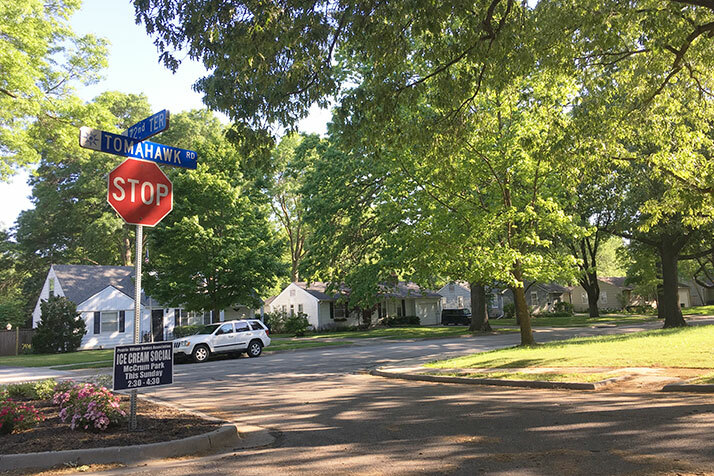 And after several years of talks between neighborhood residents and the city, Prairie Village on Monday approved a series of traffic calming measures designed to improve safety on the road between Nall and Roe Avenue. a speed limit reduction between Roe Avenue and Nall Avenue from the current 30 to 25. The proposal was widely supported by the city council, with the only dissenting votes coming from Andrew Wang, Terrence Gallagher and Brooke Morehead. Steve Noll, who represents the ward in which the stretch of road lies, said he’s experience for himself the temptation to drive quickly on the road, especially with no homes on the southern part of the street after you get off Nall. “It’s the right thing to do,” he said of the reduction in speed limit and other changes. Wang, however, said he didn’t feel as though the reduction in speed limit was warranted. He thought it would be negatively received by most Prairie Village residents.